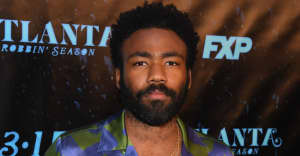 A spinning Donald Glover is soundtracked by U.K. artist Yellow Days. FX's Atlanta is due to return to TV on March 1. One of the year's most highly anticipated shows has already dropped its official trailer, which is now accompanied by a shorter clip released on social media on Sunday. In the 30-second teaser we see Donald Glover's character Earnest Marks spinning between various backdrops, including a basketball court and outside a club. The short clip is accompanied by "Gap In The Clouds" by U.K. singer-songwriter Yellow Days. Watch the whole thing above.